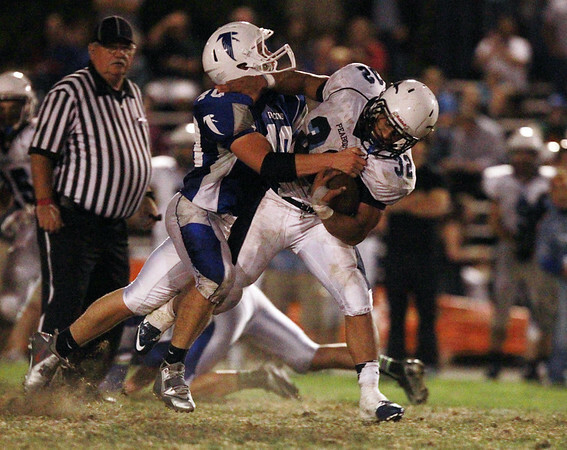 Peabody junior running back Doug Santos (32) tries a stiff arm to escape from Danvers junior Tom Dempsey (40) during the first quarter of play on Saturday evening. DAVID LE/Staff photo. 9/27/14.